Kids and grown-ups will love this easy weeknight menu featuring heart-shaped fruit, pizza, salad and peanut butter chocolates. Before kids, my husband and I used Valentine's Day as a good excuse to dress up and take ourselves out to a restaurant for a fancy dinner. I'll never forget the year of the great Valentine's Day blizzard, when, undeterred by dumping snow, we donned snow pants and winter boots over our fancy clothes and trekked down to the local trattoria for a cozy, most memorable dinner on that Day of Love. These days, with two young kids, we're much more inclined to save money and stress and stay in the cozy confines of our own home. Valentine's Day has become more of a family affair, celebrating our love for one another, and we make the most of it by planning and making the meal together. My kids helped choose the recipes for this Valentine's Day dinner menu. The recipes come together quickly for an easy (but special!) weeknight meal. We'll make the chocolates ahead of time, the weekend before, when there's a little more time to make a mess. Whenever I ask my kids what they want for dinner, the answer is invariably "pizza" and Valentine's Day is no different. But this heart-shaped pizza is a little more special than your everyday pie. Bonus: It's an easy recipe that the kids can help assemble. 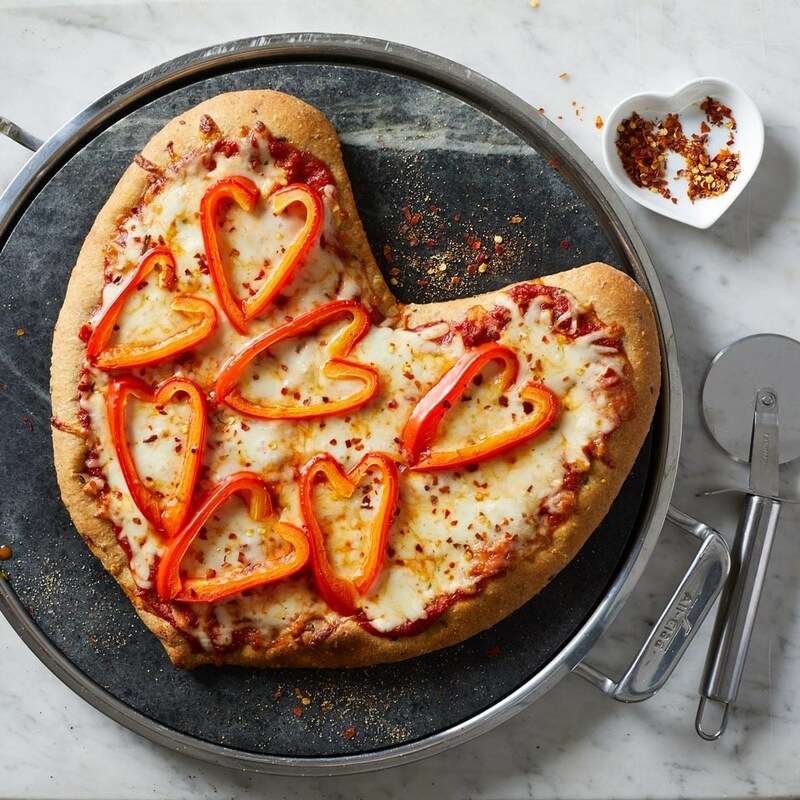 Let them help roll out the dough, make the heart shape and add the toppings. 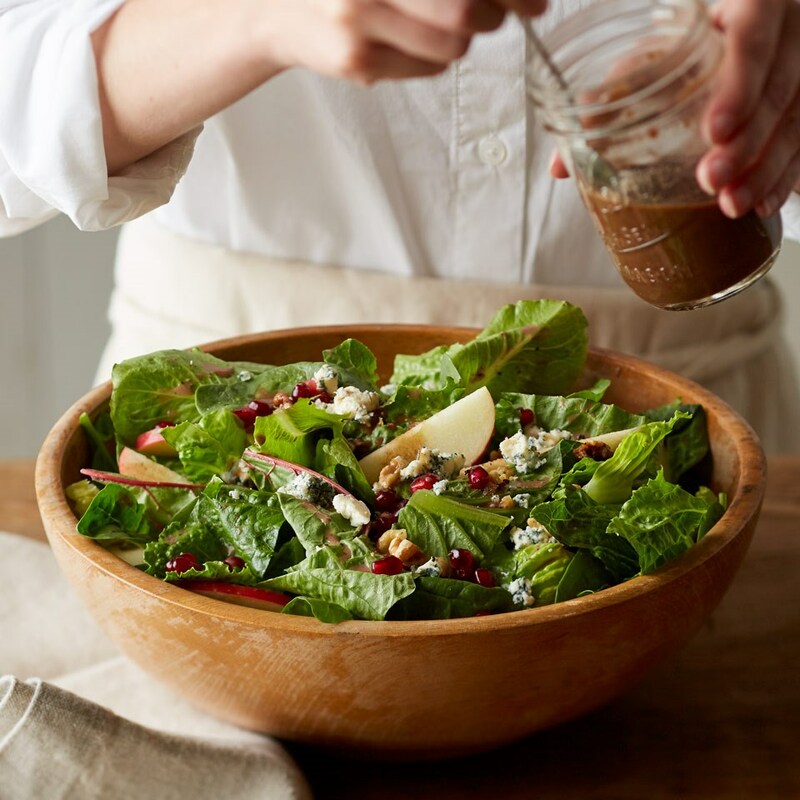 Jewel-like pomegranate seeds add a Valentine's Day touch to this salad. The kids can help whisk the dressing and will love learning how to de-seed a pomegranate (patiently, one by one, in a bowl of water). We'll omit the nuts and serve the blue cheese on the side to accommodate Amelia's food allergies and both kids' finicky taste preferences. This is a really fun cooking project to do with kids. They can help with prep, mixing and dipping. We'll make them ahead of time, the Sunday before, so they're ready to eat when it's time for dessert. 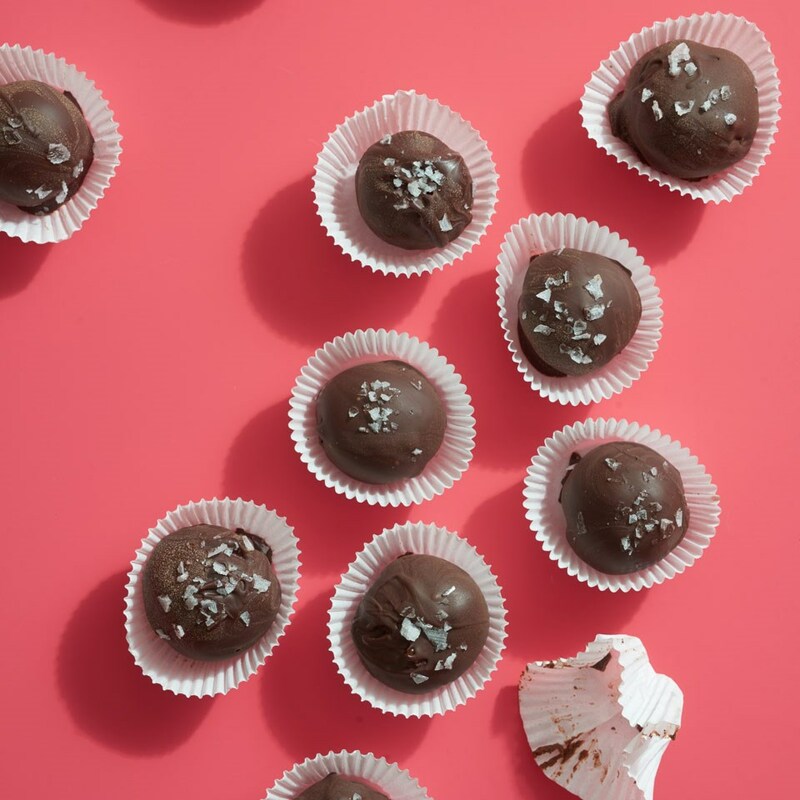 These truffles can be made up to 4 days ahead and stored at room temp.